It is almost Easter and for many that means it’s time for ham. I actually enjoy standing in the line to pickup the Easter ham. The tone of customers seems happier than at Christmas. Perhaps it is the spring air or longer days, but everyone, at least to me seems to be in a better mood and generally less stressed. While standing in line to pick up my Easter ham I have had some of the most delightful conversations regarding recipes and family traditions. Recipes about leftover ham, of course. Last year, the most mentioned ham leftover was a sandwich. Let’s face it, there’s nothing wrong with a hot ham sandwich–for me on toast please with butter! The second most mentioned recipe was the good old-fashioned ham meatballs with brown sugar glaze. That’s a good stand-by, too, I always add brandy and orange preserves to my glaze. The talk of ham sandwiches and ham meatballs set my mind in motion…what if I could combine the two? Then I thought about hubby’s favorite leftover ham sandwich: a club and a recipe was born. 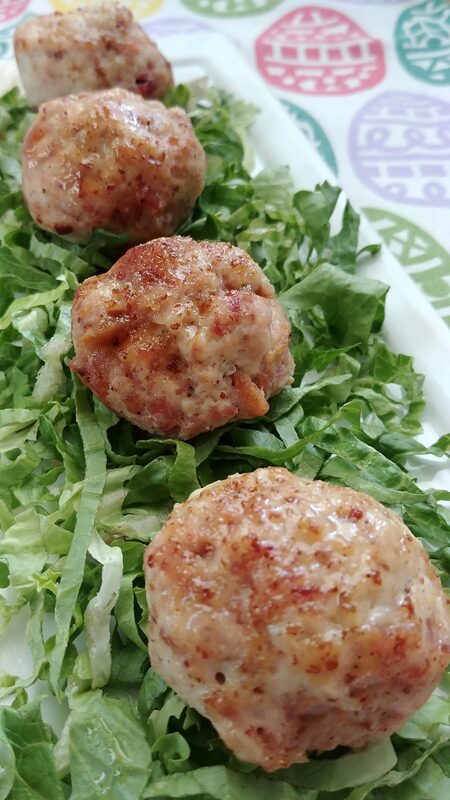 Club Meatballs: Turkey, ham, and bacon meatballs finished with a honey mustard glaze. 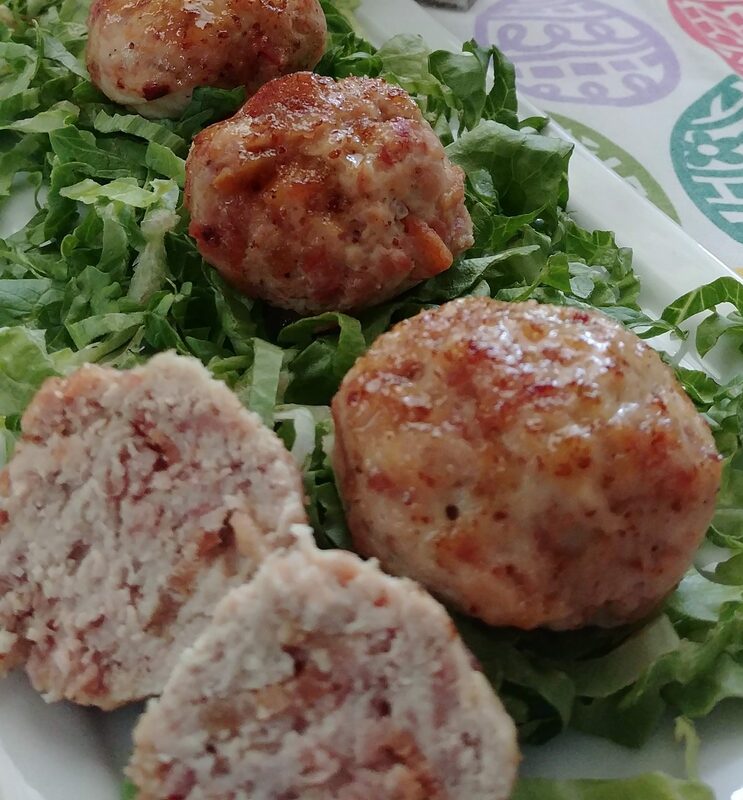 These meatballs are perfect for snacking or for sandwiches and wraps. 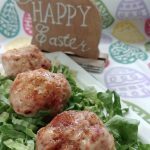 Don’t forget if you make a wrap and have leftover tortillas, you can keep the meatball fix going with enchilada-meatballs. Put ground turkey and bacon into a bowl. Spread toast with mayonnaise and slice. Add slices to food processor along with ham. Process until minced. Add mixture to turkey and bacon along with mustard and garlic powder. Blend well using hands. Using moistened hands, grab heaping tablespoons of mixture and roll into a ball. Put balls into a mini muffin tin. Bake for 15 minutes. Let cool for five minutes. In a small mixing bowl, blend honey, creole mustard, and horseradish. Liberally brush mixture onto the meatballs. Broil for 5 minutes. Put your TO COOK IS TO CREATE thinking cap on: Start by what you enjoy on your club sandwich and go from there. Avocado-just mash and add it! Cheese? Cube and stuff each meatball. Hearty tomatoes? Add in last after mixing. Pickles? Add pickle relish. Extra bacon? Like chicken clubs? Use ground chicken instead of turkey. What fresh herbs? Basil? 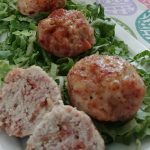 Just like any meatball recipe, the options are endless and so are the measurements! 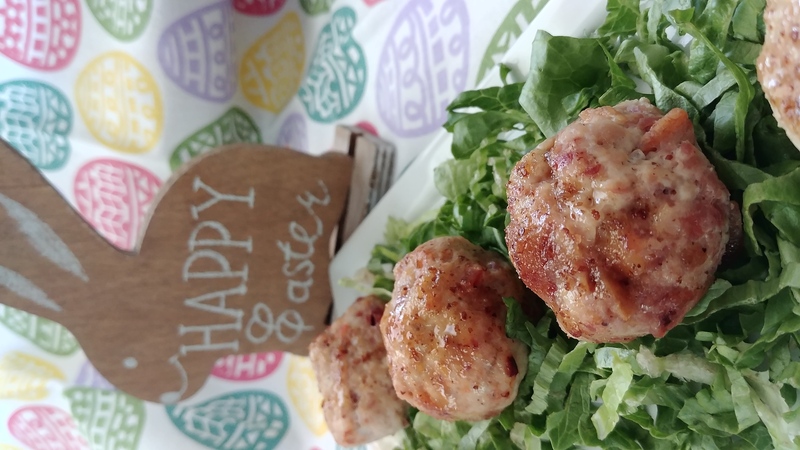 FOOD FUN: “Eating ham at Easter dates back to at least the sixth century in Germany,” according to Bruce Kraig, founder of Culinary Historians of Chicago. I wonder what was done with leftover ham in those days! Wow! What a delicious mixture of ingredients. Avocado and cheese would be my extra ingredients. Smashed between hot French bread… mouthwatering 👅👅👅👍⭐️⭐️⭐️⭐️⭐️!